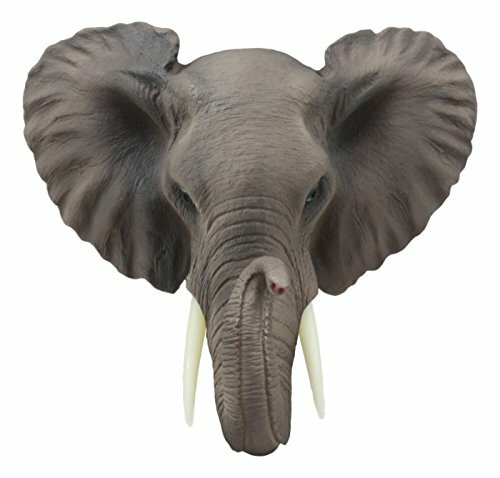 This Safari African Bush Elephant Head Wall Plaque measures 9" tall, 9.5" long and 4" deep approximately. He weighs about 1.25 pounds. Impress your guest with this Pachy Elephant Wall Plaque in your home. The detail and craftsmanship is breath taking and will surely make a great addition for any Safari Wildlife Animal lovers. This African Bush Elephant Wall Plaque is an Ebros Gift exclusive collection.